Note: This sale is no longer available. We are extending it on a case-by-case basis to members of our newsletter and families using Roman Roads Classroom. Contact us if you have questions. 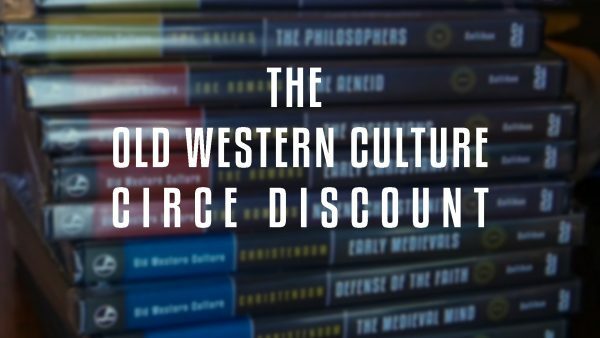 The Old Western Culture “Circe Discount” | All four years of Old Western Culture (including DVDs + Streaming) for $896.00 $500.00! Note: Already purchased one or two year’s of OWC and want to “complete your set” with the CiRCE Discount? Complete your set here. 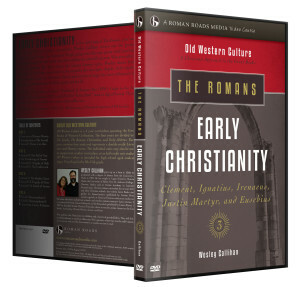 Includes all the below, in both DVD and streaming format (16 Units, totaling 64 DVDs, and roughly 128 hours of runtime! 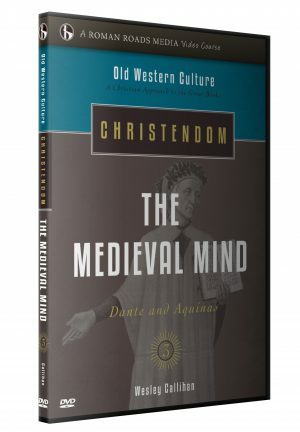 ), walking you through the Great Books of Old Western Culture, starting with Homer’s Iliad, through the Early Moderns, ending with a hat-tip to the 20th Century authors C. S. Lewis, G. K. Chesterton, and J. R. R. Tolkien in the unit The Novels (unit 16). 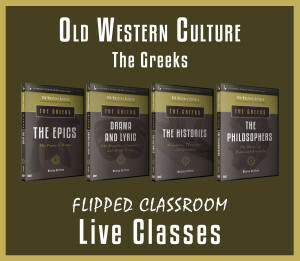 In addition to the video in two formats, each unit also includes a PDF version of: the Student Workbook, a Reader containing all assigned readings (physical versions available for purchase), Exams (two Student Exams and Teacher’s Edition with grading guide), and Guide to the Art (online and PDF, though some units have printed booklet; applies to Greeks and Romans). This bundle does not come with physical editions of our Readers. 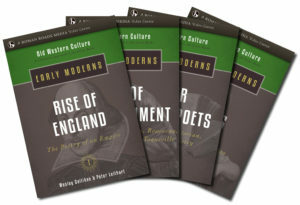 You can purchase those on our Reader Page.